After executing an unexpected and exhausting Plan B, we finally pulled into the Leadership Training Centre in Likabali. It was good to arrive at some place familiar - or at least it was familiar for me and Corban. Though we began our day at 4:30 in the morning in Agra, and our journey required taxis, planes, hired 4x4s, rustic ferries, and a beaten up van; and even though it was now 6pm and we had only had one semi-real meal (Indian instant food on the plane), there were 50+ pastors and Bible students eagerly waiting our arrival. It was Tuesday night and we made our way down to the meeting area. A rustic tin roofed set up with mesh walls, simple wooden benches, and a homemade pulpit was the physical environment, but the spiritual environment was what really mattered. The thought came to my mind, and the reality came to my body, "The joy of the Lord is our strength." I have no doubt that our simple gathering brought joy to God, and we had the strength we needed to say a few words of encouragement, introduce the team, and share a prayer. 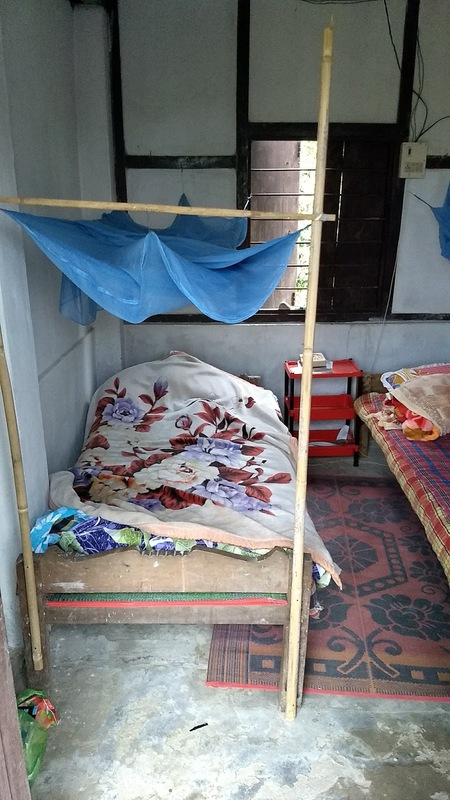 The smiles and energy of the pastors greeted us warmly, and wished us well as we went up to the house for dinner, and then collapsed onto our Asian style thin futon beds draped with mosquito netting for extra security from whichever bugs thought we might make a good nights snack. It was Tuesday night and Castleton, NY seemed very long ago and very far away. But a new day was dawning, but that isn't where this post is going. 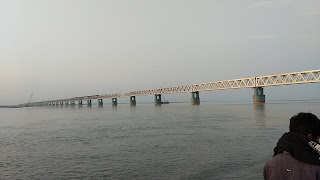 It is about a transformation which happened over five days to seven people. Wednesday was a full day, after a series of full days, and by dusk everyone in our group was understandably tired - very tired. But the day wasn't done. There was a scheduled time of praise and worship with the pastors at 6pm, I was supposed to teach more, and then we could hear testimonies from some of the pastors. Heading down to the meeting area wasn't optional for me, but it did not sound like a good option to various group members. Could they stay awake? Was it worth the effort? What about dinner? I didn't beg, but I thought it might be necessary to get everyone to the waiting pastors. A two hour worship service in Likabali at a church of probably 300 people. 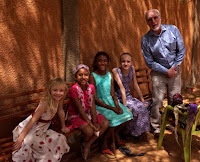 A quick bite to eat in town and then over an hour long ride on roads the likes of which you will never ride on in America unless you are purposely 4-wheeling, brought us to a rural town were we participated in the baptism of two new believers, teaching and prayer. Then there was the hard ride back being shaken and stirred in our little 4X4. On the way we stopped in town to purchase tea and candy to take home as gifts. 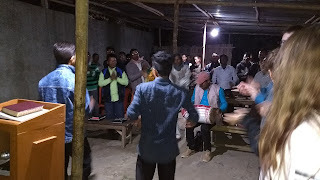 Every single team member - the team members who five days earlier needed encouragement to bring their weary bodies to make at least an appearance at the worship time - was found, not in their rooms packing, but gathered in a simple room, with exposed light bulbs, rustic benches, and a dozen Indians praising God. What a change! Every group member was joining in the singing, raising their voices in the cacophony of joint prayers, and experiencing the wonderful power of Christ which crosses all boundaries. Each evening we had gathered together, and each night our bond had strengthened. The pastors had drawn us into open, unashamed, joyful worship again and again. The Lord spoke to our hearts and our souls through the witness of these faithful men and women. Our evenings together had changed for each one of us from an "ought to" into a "want to." It was amazing to see, to be a part of, and it was a great end to an amazing week with our brothers and sisters in Christ in a foreign land. What could go wrong? 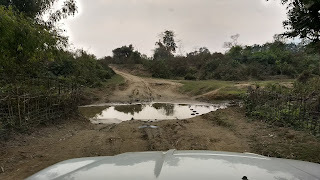 All we were trying to do is get to one of the more remote corners of India. After unexpectedly ending up in Agra (Plan B), to make our flight on Indigo Airline with time to spare we were up and waiting for our three faithful taxi drivers at 4:30 am, and on our way by 4:45. Due to the fact that all night long and into the morning hours they were having a street festival on a main thoroughfare a block from our hotel - sleep was optional - but that was a minor detail. The timing belt had been fixed, two out of three drivers seemed wide awake, and it is probably the only time you can drive through Agra without crazy congestion. Two taxis shot off down the highway like they were in a rally race, the one transporting me and Corban (which was sporting a new timing belt) was a little less aggressive. This would have been fine, unless the straggler gets a flat tire, which it did, and it fell off the jack during the change, but through the wonders of cell phones we all got together again before heading into Delhi to make our way to the airport. 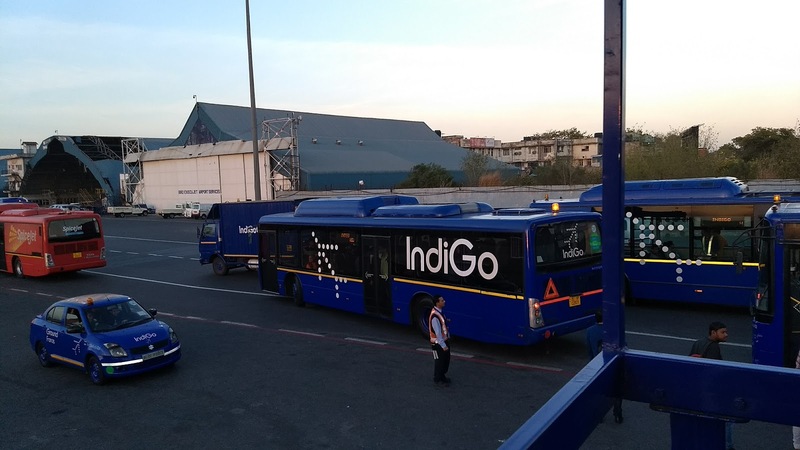 Indigo airline is great, and we had a wonderful flight up to the commercial airport located as far north and as far east as possible in India. Once we gathered our mountain of luggage on two carts, visited the bathroom in the simple but nice one gate airport, we headed out to be warmly greeted by my brother in Christ Steward. We piled our bags and wedged our bodies into the well worn Land Cruiser type vehicle Steward had hired to take us the approximately 1 1/2 hours to the ferry. 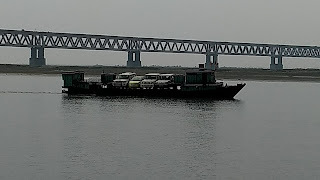 There are parts of the this trip which are hard to describe, and the ferry experience is one of them. A push of locals getting on, throwing bags on, respecting a family carrying a sick love one onto the boat on a stretcher, etc... it is crazy, but everyone handled it well. 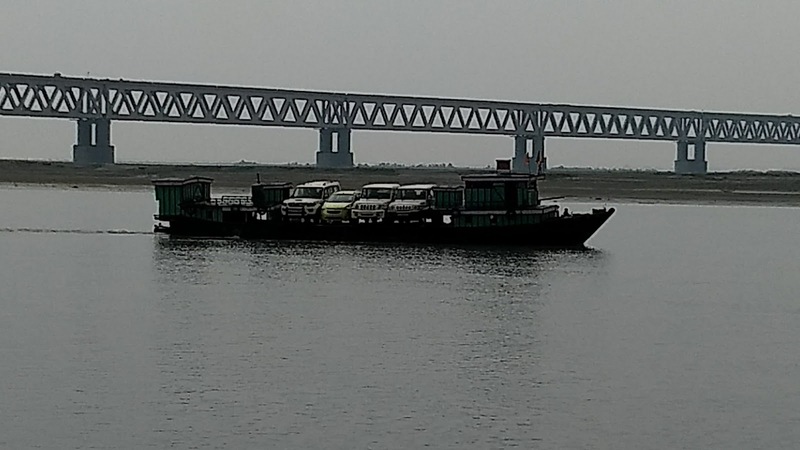 The news says that the 2 mile long bridge spanning the river will be done in June (after 25 years of construction) - but for now it is still a slow circuitous route around the sandbars in a "homemade" ferry. On the other side we loaded our gear for one last time, putting it on the roof rack of a van owned by Steward and Nyapu. About an hour later we were pulling into our final destination. It wasn't easy to get here, but it was worth it! Our bone weary pack of 7 arrived at Taj Haveli Hotel at 4:45 am on Monday morning. In terms of hotels, I've seen worse, but I was unique in our group in being able to say that. However, there were beds, and that was all that mattered. The adults made it to breakfast before it was cleaned up at 10:30am, but none of the youth did. But that was okay as the only familiar food available at the simple buffet were bananas. By 11:30 we were ready to head out and see what we could see. 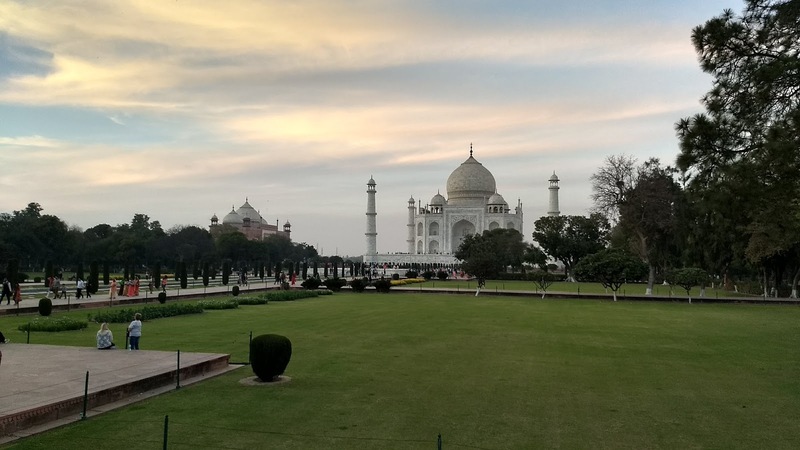 As we had three taxis and a private guide at our disposal, we were able to see some amazing wonders in this city famous for only one thing - the Taj Mahal. It is truly a wonder of the world, but that was our end, not our beginning. 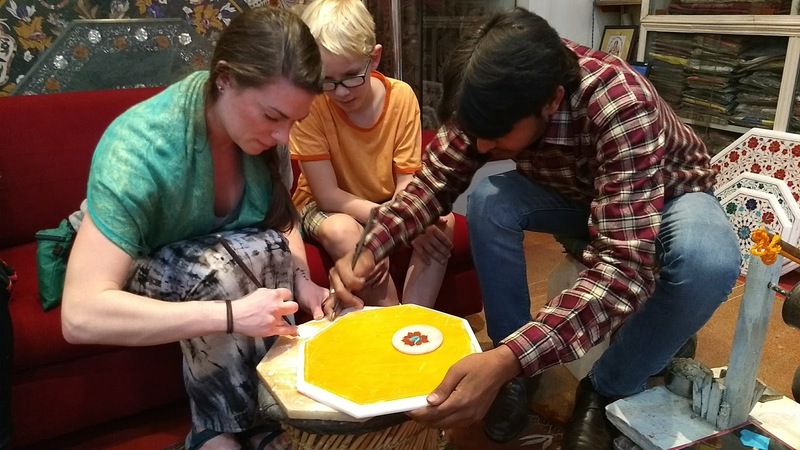 From there we went to a inlaid stone gallery where we were able to see how this ancient craft is created, and some people were able to make use of credit cards which function just fine. On the way to lunch (at 3 in the afternoon) the timing belt decided to break after one too many dramatic accelerations around something moving slowly down the road. We were thankful that we had three. With 7 tourists and one guide, we snugly filled the remaining taxis and made it to lunch. Then after a great lunch of wonderful Indian food we were off to the Taj (as they like to say). On the way back to our hotel we stopped for a little more shopping and then off to bed. At 4:45am Tuesday morning we were off again, back to the Delhi airport (about 4 hours away). It was 24 unexpected hours, and it was good. PS. If you were keeping track, other than plane food we had only one meal in a restaurant, and some of us got some "breakfast" food at the hotel. 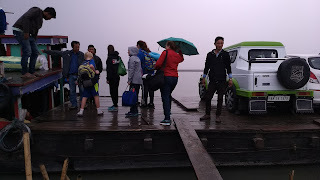 In a 48 hour period our power bar supplies were severely depleted, but we had all we needed. Soon we would be spoiled by our hosts in Likabali. 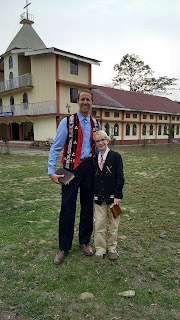 We have been in Likabali, Arunachal Pradesh for a little over four days and it seems like much more. But it seems like it has been much more in the best possible way. God brought together seven people, bonded us together through an amazing journey to get here, and has used each one of us over these fleeting days. And while we have given of ourselves, we have received so much more. 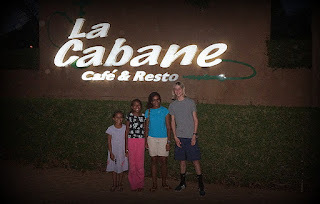 It is almost a cliche line coming from those involved in trips like this, but it is said so often because it is so true. We get more than we could possibly give. Everyday has been perfectly full. Each day - some time between noon and one - six people would climb up the rustic concrete steps built into the hillside upon which Steward and Nyapu's house sits. After teaching, playing, loving and singing with the children of Oxford Brook School from nine in the morning until noon (school ends at 1pm) they returned with smiles, energy and joy. 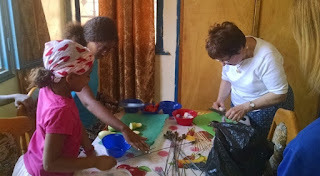 Sandy taught some science, Nancy had a great time with the youngest and finger puppets, Brianna, Corban and the Emilies taught social studies, reviewed math facts, and it seems in every way had a ball. In three mornings at this simple elementary school they created memories which will last a lifetime for everyone involved. Wait until you hear their stories! Meanwhile, back at the Leadership Training Centre, I was humbled and honored once again to teach and encourage over 50 pastors from northeast India. These are pastors who do not get paid, do not have an organized support network, do not receive regular encouragements from e-mail newsletters, and have only a Bible and the Holy Spirit as their resource. 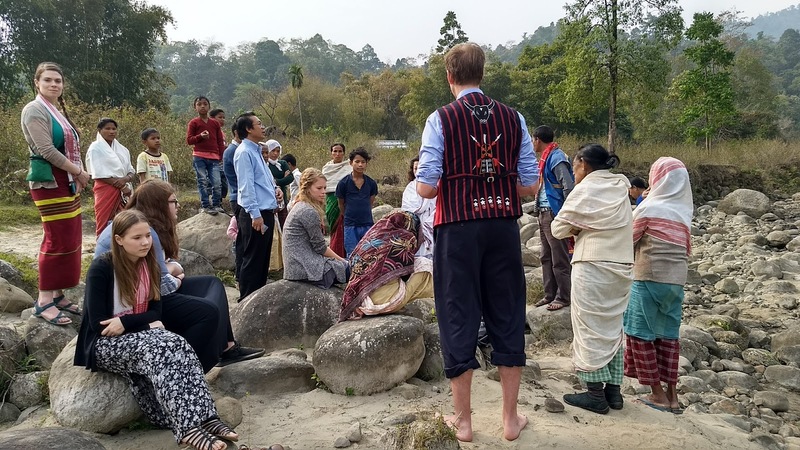 In the evening hours some would share their stories, and many were along the lines of, "I became a Christian in my village, and a few months later I was appointed pastor." 17 of the participants of the workshop I was running - "Foundations and Future" - were students who have been studying full time here at the Training Centre for the past 9 months. On Friday night we celebrated their graduation. They are young men and women called by God to go share the Good News of Great Joy. Some come from tribes which border Myanmar to the east, and others from tribes up in the mountains to the west which border China. It was an privileged to deliver their charge - sending them out into ministry. The first evening it took some, how shall I say, direct encouragement, to get our tired group of adventures down to the meeting room (trust me, it doesn't look like what you are picturing) for a time of worship and testimonies. But the exuberant and free worship soon revived our spirits and the stories inspired our souls. From the hours in the school, to the hours teaching at the Centre, from the times sitting on the porch talking, to eating wonderful home cooked Indian food, from exploring in town, to a "picnic" by the river, we are having an amazing time here at the ends of the earth. As one team member reflected last night. We thought the struggle would be once we got here. Actually the struggle was the trip to get here. Now that we have arrived it has been blessing upon blessing. Compared the the average person I have traveled a lot. Now I'm well aware there are people who have traveled a great deal more than me, gone to stranger places, or had bigger adventures, but I have a pretty good reservoir of stories and experiences. Well, I've now had a travel adventure which is definitely in my "top 5 of crazy travel adventures" list now. You might have heard that Jesus said don't worry about tomorrow because today has enough problems. Well, another reason not to worry about tomorrow is because you probably will worry about the wrong thing. In reality we don't even know what we should be really worry about anyway. 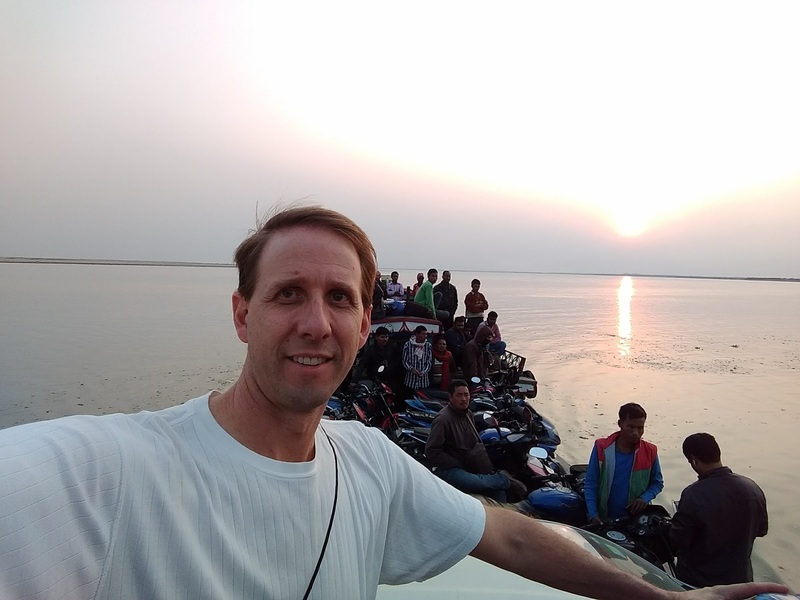 Flying into Delhi for our 36 hour layover before continuing on to Likabali, my biggest concern was transportation from the metro express train station to our hotel. I knew the way, but I also knew we would be arriving late at night with more luggage than we could manage to carry the final 3/4 mile of that days journey. I rehersed in my head what it might take to get us into two taxis - directions, price, sticking together, etc... but that never happened - and there was so much more to worry about. Stepping out into the near midnight hours of Delhi, there were no taxis to take us to the hotel, but a friendly and willing tuk-tuk (motorized rickshaw) driver was ready to help, and when the size of our group became apparent, it was two drivers, and then the enormity of our 300+ lbs of luggage was realized, a third tuk-tul was called into service. And we were off... in the wrong direction. Immediately it started feeling like a shake down. Problems - special permits needed - requirements to travel to a different part of the city - I was waiting for the price tag - how much was this mistake going to cost me. We didn't feel unsafe - it wasn't a dark alley after all - but it certainly didn't feel right. I put up my defensive walls and started pushing back. Asking questions, looking for holes in their stories, not taking their statements as trustworthy, etc... Remember, this is through broken English, with six people in my care, five of whom were having their very first experience in a developing country - at midnigth, not far from the train station in a city of 22 million people. Every man on the scene was firm in their story, they could not take us to the hotel... I was firm in mine, I was not going to the location of their choosing. 91-11-47646464 that number, typed into a simple cellphone, will be etched into my brain for some time. If you want to call the Hotel Krishna New Delhi that's the number. I convinced one of the drivers to let me use his phone to call the hotel. The number worked, and the front desked confirmed that we could not make it to the hotel. Not by auto-rickshaw, not by taxi, not by foot - they were sorry for the inconvenience but due to blocked roads and restricted traffic, it wasn't possible, and we would have to find something else - maybe in the city center - but they had no way of helping us. The drivers were right we needed to go to a different part of the city (not far away), and find something there. 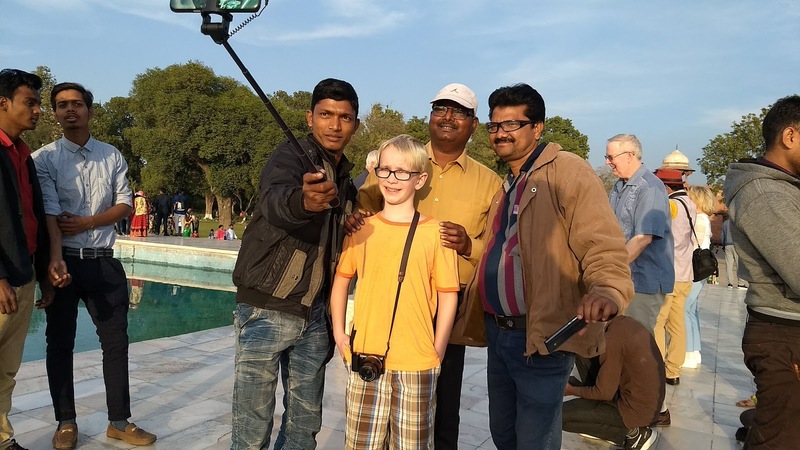 We took off through the still crazy Delhi traffic in a mini parade of green and yellow three wheeled thrill rides, loaded with seven exhausted travelers and our mini-mountain of luggage. A few minutes later we turned into a semi-dark alley... but it was lit by a huge blue sign declaring "Delhi Tourist Information Center." Is wasn't any official center, but it was open, and there was an English speaking person willed to help us with a phone, a computer, and a smile. He confirmed that we could not reach our hotel, and because so many hotels are in that area, it would be very hard to find a hotel. After a few calls the gravity of our situation started to set in as we could not find a hotel which could hold the seven of us. Finally there was one hotel with two suite rooms available for over $400 each! $1600 for our two nights, in a city where would would not be permitted to travel freely (for reasons we yet did not understand, but certainly seemed ominous) did not seem like a good deal at all. All the while our luggage is still piled into the three waiting tuk-tuks, which we were watching via security cameras. The drivers asked if we could unload our bags into the building, because it would be safer... Our feeling of security was not soaring... but everyone seemed to have our best interest in mind, and while our guard was up, and the anxiety (and exhaustion) could be felt, there was no panic. Well, there was a little bit of panic when the women went to use the bathroom, and promptly reported that they would hold it until a later time. Their first experience with an Indian bathroom will undoubtedly be with them for the rest of their lives. A new option was put on the table. What about traveling to Agra, staying in a hotel there - see the Taj Maha - and then come back up directly to the Delhi airport for our Tuesday flight to Dibrugarh? We talked through the details, checked in with everyone in the group, took a vote, and decided to go with a very unexpected plan B. 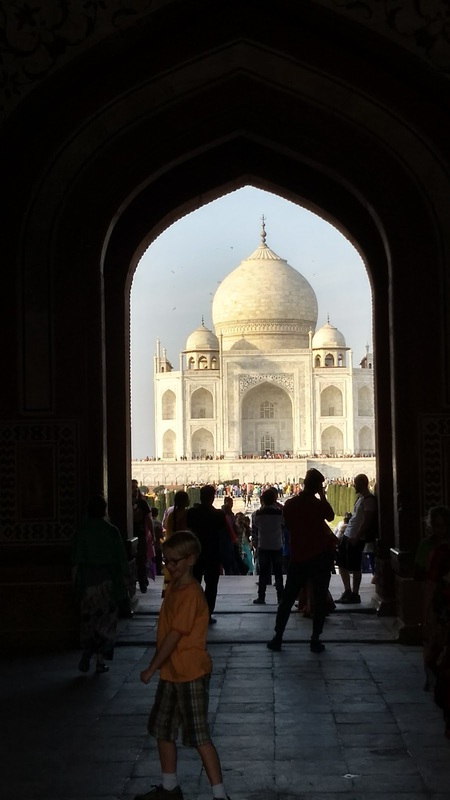 Two taxis, three hotel rooms, entrance to the Taj, and a solution for our very pressing problem were paid for in advance, in cash, in an act of desperate faith. 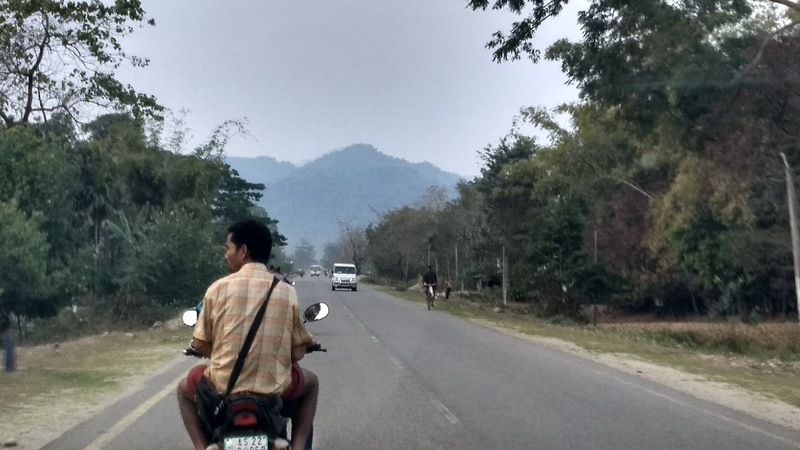 We bid our tuk-tuk drivers farewell, and waited for our rides to arrive. 20 minutes later two small sedan taxis were loaded up, but it was clear to the travel agent that while we could fit with all our gear, it would not be a comfortable 3+ hour drive to the city of Agra - another taxi was called. 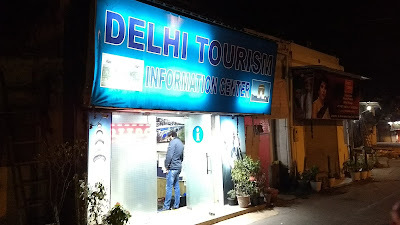 At 1:30 am, some 30 hours after we had left Castleton, NY, we were on our way out of Delhi - still not sure why we were not welcome - and on to Agra. WHAT WAS HAPPENING IN DELHI? Blame our trip to Agra not on religious extremist, nor political activists - it was the Canadians. Specifically one Canadian - Prime Minister Justine Trudeau. 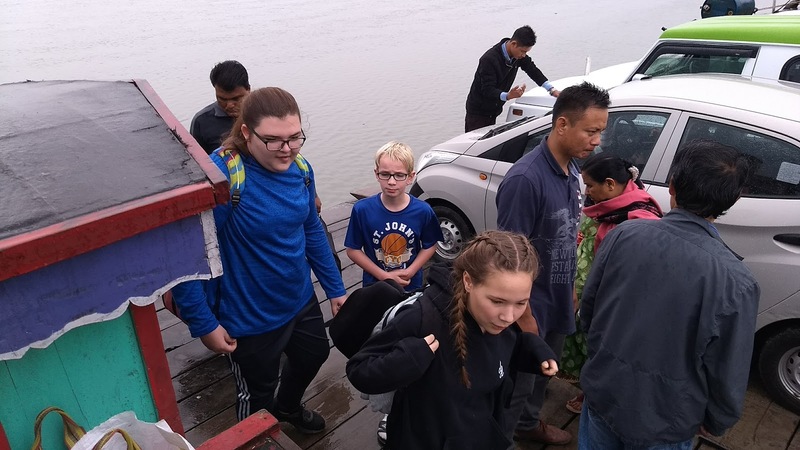 He and his family had arrived the night before we did, and to ensure their safety during their visit, travel in certain areas was severely limited. But it turned out that he helped us have a great adventure, and we got to see one of the 7 wonders of the world. Normally before I head out on a trip I like post the itinerary, share what's going on, and why. It didn't happen this time. As I write I'm half way through the adventure, and what an adventure it is. Three years ago my family was able to visit a far off corner of the world; the town of Likabali, India. On the western edge of Assam, in the far northeast corner of India. Here Steward and Nyapu train pastors, and educate young children. 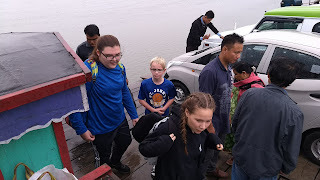 It was an amazing experience, and now I am back with Corban our youngest, and six people from Emmanuel Reformed Church. 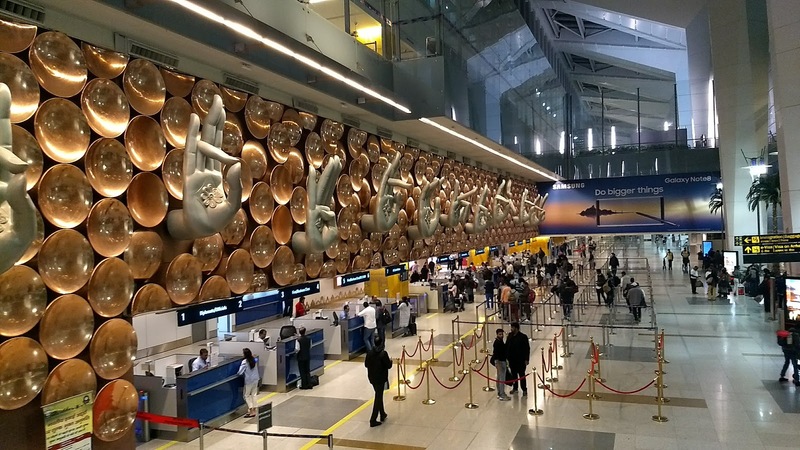 Fly from JFK in New York City to Delhi. Spend seven days there (which is now here). While I run a three day pastor training workshop, the rest of the team will be engaging with children at the elementary school run by Nyapu. 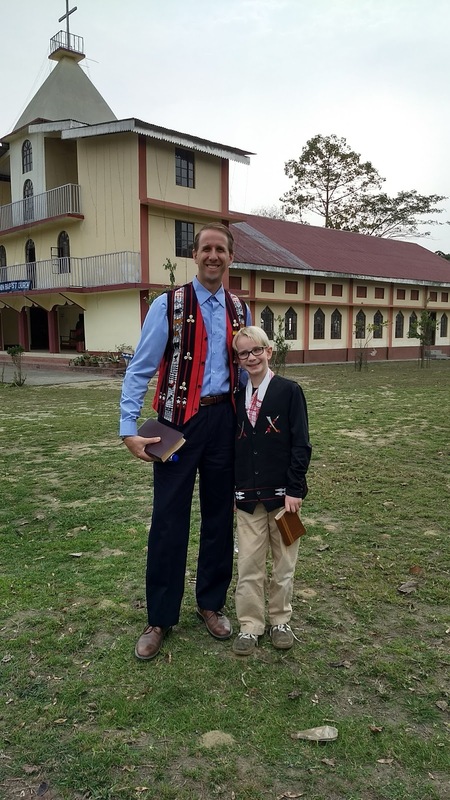 After worshiping on the other side of the world at a church in Likabali, and visiting a new church in a rural village on Sunday, Monday we will begin our trek back to the USA. Three plus hours to the airport in Dibrugarh, a flight to Delhi, an overnight stay before our flight back to NYC on Tuesday - to return home by late Tuesday night - Lord willing. We are a few days in, and what a great adventure for God we are having. The smiles when the group returns from the Oxford Brook School are great. The feedback from the pastors I'm working with is encouraging. And oh the unexpected adventure we had getting here! 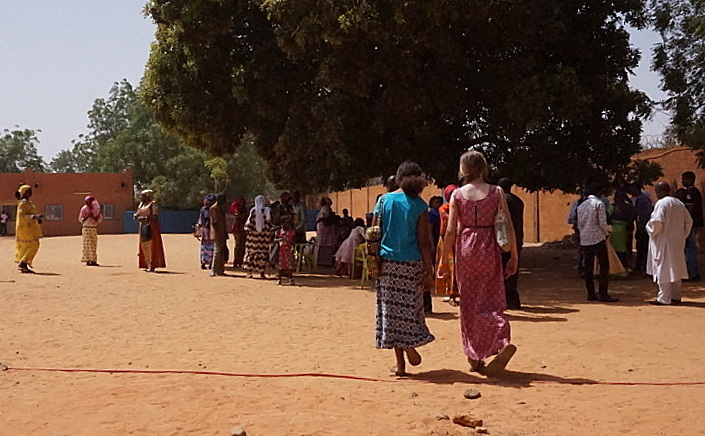 One week in one foreign country to encourage two families - this was a primary focus of our trip to Niger. Each family has four kids who range in age from tween/teen to infant/toddler, each serves in Niamey, Niger, each is sent by the Reformed Church in America. They are bound by these commonalities even if there are differences in background, story and interests. The tangible part of our encouragement took the form of abundant care packages which were well received and a joy to give. But something else happened, time and again we were able to have life giving conversations; talking freely, sharing stories, and comparing "notes." One other encouragement that we brought along without really thinking about it was our very own 13 year old American boy. Having someone new to play with, share being a kid with, stay connected with American culture with, this seemed like maybe the best thing we brought. It also lead to talking about parenting as my kids are just a few years older than their’s. What do they want for their kids? What do I want for my kids? What do you want for your kids? Is the primary value maximizing their economic potential? Or at least ensuring they can keep up with the Jone’s… Is the primary value minimizing risk? Should parents to everything possible to keep their kids as safe as possible? Or is it fitting in? Being normal seems to drive many suburban and mainstream parents. Well, maybe normal isn't best. Maybe the spiritual is more important than the physical. Maybe what appears to be risky, is actually safer for their souls. 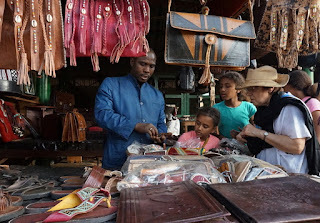 I took my all American boy to Niger, a country filled with disease, defined by poverty, almost completely non-Christian, and far off the beaten path for vacation weeks - because I want him to be American plus. I want my kids to have a bigger perspective, a spiritual framework, and an understanding that in risk there is reward. The Beebout and the Johnson girls are growing up with parents who are giving them the world, and even more importantly, giving them eternity. And this is at the heart of the matter. Normal in the USA often looks like teens who are distant from adults, distant from their faith, discontent with what they have, and disconnected from the realities of the vast majority of people on this planet. 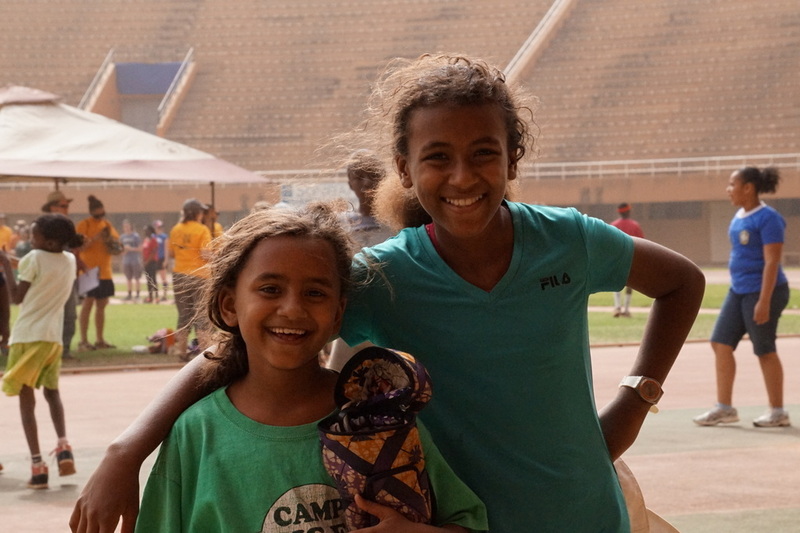 These kids are being raised in Niger, and they are anything but distant, discontent or disconnected. But it isn't the place that is the most important, it is the parents. It was a joy and inspiration to be with these families - who turned the tables and encouraged me. Johnson girls helping in the market and the kitchen.